MSM PAINTING LLC in West Bloomfield, Michigan, is happy to provide you with services for all of your deck washing and deck staining needs. Let us get your deck back to pristine condition in time for your next gathering. If your deck is starting to look like it needs an overhaul, our services are just what you need. First we power wash your deck and cover it with a stripper before or after the power washing service. After the washing, we sand it down and apply the stain that you choose. Our company uses quality stains from Sherwin Williams for the best results. 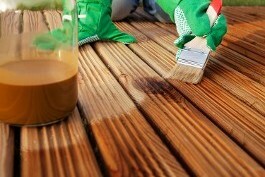 Contact us in West Bloomfield, Michigan, to have our skilled workers perform deck staining and washing services.